A sensation of 1953, $300,000 of the $600,000 paid in ransom has never been recovered. Two police officers and a gangster are commonly thought to have stolen the money -- but did they? One of the more tragic and fascinating crimes of the mid 20th century was the kidnapping and murder of 6-year-old Bobby Greenlease in 1953, and the subsequent disappearance of half the $600,000 ransom his family futilely paid for his release. Bobby was the son of Robert C. and Virginia Greenlease. His 71-year-old father was one of the largest Cadillac dealers in the nation. The Greenleases lived in Mission Hills, Kan., the most elite suburb in the Kansas City area. The kidnappers – Carl Austin Hall and Bonnie Brown Heady – had both known privilege earlier in their lives. In fact, it was at military school that Hall met Paul Greenlease, the older, adopted brother of Bobby Greenlease. Hall later inherited a substantial amount of money from his father, but blew it failing at a number of business ventures. For robbing a number of cab drivers – his total take was $38 -- Hall was sent to the Missouri State Penitentiary. In prison he dreamed of making "the big score" – a score that would allow him to once again live in luxury. He later said that kidnapping was the only crime where he could strike once and retire for life. Once out of prison, Hall, stocky and with thinning hair, was living in St. Joseph, Mo., and started going with Heady – a plump but not entirely unattractive woman, who was known to sleep around and prostitute herself. Heady owned her own home. They got drunk routinely, and sometimes Hall knocked her around. In fact, when she was arrested for the kidnapping she bore the marks of a Hall beating. Throughout the summer of 1953 Hall and Heady made repeated trips to Kansas City to watch and follow the Greenleases. At one point Hall planned to kidnap the Greenleases’ 11-year-old daughter, but finally decided the 6-year-old boy would be easier prey. Bobby was enrolled at Notre Dame de Sion, a fashionable Catholic school in midtown Kansas City. In the late morning of Sept. 28, 1953, the 41-year-old Heady walked into the school and told a nun she was Bobby’s aunt – that she and Virginia Greenlease had been shopping on the County Club Plaza when Virginia had a heart attack. She said she was there to take Bobby to the hospital. When Bobby was brought into the corridor, he walked directly to Heady and put his hand in hers, as if he knew her. Heady would say later, "He was so trusting." Heady drove to the Katz Drugstore at 39th and Main, where Hall was waiting in the parking lot. They then drove a few miles directly to Kansas (thus triggering the Lindbergh Statute, giving the federal government jurisdiction of the case). In a vacant Overland Park, Kan., field , Heady got out of the car and walked a short distance away, while Hall took care of killing the child. First he tried to strangle the boy, but the rope he was using was too short. He then slugged the child, knocking out his front tooth. He finally pushed the child down and shot him in the head with a .38 pistol. Young Bobby did not live 30 minutes after being abducted. They then drove the 60 miles back to St. Joseph and buried the body in the back yard of Heady’s home in a grave Hall had dug the night before. Hall then planted flowers on the grave so anyone looking into the yard would think it was a flower garden. The Greenlease family got its first inkling of the disaster when the nun who had allowed Bobby to leave school with Heady called the Greenlease home in mid-afternoon to inquire after the health of Mrs. Greenlease. Hall began his contact with the Greenlease family by sending them a pin that Bobby had been wearing when abducted, and demanding a ransom of $600,000 in $10 and $20 bills. Hall had calculated that this amount of money would weigh 80 pounds, and that a million dollars would weigh too much for him to carry. Hall specified that the ransom money would have to be collected from all 12 of the Federal Reserve banks – 20,000 $20 bills and 20,000 $10 bills. Robert Greenlease called in several of his closest friends and undertook to comply with Hall’s demands. He contacted the head of a local bank, Arthur Eisenhower, brother of the incumbent president of the United States, Dwight D. Eisenhower. Arthur Eisenhower saw to it that the serial number on every bill was recorded (the list of serial numbers was later printed in a number of newspapers). As the money was being accumulated, Hall called the Greenlease residence repeatedly. He continually reassured Virginia Greenlease (who talked to him four times) that not only was Bobby alive, but that he was quite a handful, and that the kidnappers were certainly earning their money. Finally, a week after the kidnapping, the money was delivered (twice, because Hall couldn’t find it the first time). While the Greenleases waited for word of where to find Bobby, Hall and Heady drove to St. Louis. As word of the kidnapping hit the media, it became a nationwide sensation. Kansas City has always been one of the crime capitals of America, a gathering place for outlaws such as Jesse James and the Younger brother, and in later times, Pretty Boy Floyd, Wilbur Underhill, Verne Miller and Harvey Bailey. While Kansas City was home of the Union Station Massacre and a Mafia that was one of the most powerful in the nation, the kidnapping of a 6-year-old boy from a wealthy family wasn’t part of the historic crime (however, in 1933, Mary McElroy, the grown daughter of city manager Henry McElroy, was abducted and then released after a $30,000 ransom was paid. The fact that Mary McElroy had been released alive might have influenced the decision by Robert Greenlease to cooperate with the kidnappers). At the time of the Greenlease kidnapping, the ransom paid was the largest in the history of the nation. In St. Louis, Hall and Heady were at a loss as to what to do next. They ditched the car they drove there in, and started using taxicabs. After a round of bar hopping, they rented a small apartment in south St. Louis. Hall deposited the intoxicated Heady in the apartment, left a few thousand dollars for her, and then took off for the good life. Hall hooked up with an ex-con cab driver and a prostitute. The trio ended up at the Coral Courts Motel in St. Louis County. The Coral Courts was renowned as a place where a fellow could stay for a while with no questions asked (in fact, each of the beige tiled units had its own garage, so no car would be left indiscreetly in view of those passing by on Route 66). The Coral Courts was built in 1941 by John Carr, a man long rumored to be mob-connected and who had run a posh brothel in St. Louis for years. Hall lavished money on the cab driver and prostitute. She would later say that Hall stayed so drunk, and nervous, that he couldn’t perform sexually. Hall had converted the cab driver to his personal valet, so to speak, giving him a fistful of money and telling him to buy clothes for him, or whatever he felt he needed. The cab driver told gangster Joe Costello, owner of the cab company, about his free-spending customer. Costello then called St. Louis police Lt. Louis Shoulders. Since Costello and Shoulders always denied stealing the ransom money, it’s not known whether Costello figured out that Hall was the Greenlease kidnapper, and gave Shoulders the inside track on the arrest of a lifetime, or whether Costello and Shoulders conspired to rip Hall off for the money. 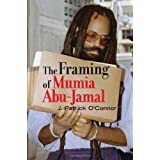 What is known is that Hall, guided by the cab driver, rented an apartment just inside the city limits of St. Louis, and shortly after moving in, with the money, he was arrested by Lt. Shoulders and patrolman Elmer Dolan (Shoulders’ driver). Hall was then taken in for questioning about the large amount of money he was carrying around. James Deakin, a long-time reporter for the St. Louis Post-Dispatch wrote A Grave For Bobby: The Greenlease Kidnapping, published in 1990 – which argues forcefully that, at the time of Hall’s arrest, it was thought that Hall was a swindler who’d embezzled a large amount of money (the story Hall had told the cab driver and prostitute). Deakin, although he covered the kidnapping when it happened, spent most of his career as a Washington correspondent for the Post-Dispatch. I mention that because, repeatedly, there is a naivete displayed in Deakin’s book about the way the mob (and police) worked (Deakin feeds us insights from anonymous mob hangers-on who obviously disliked Costello, and who portray him as someone whose existence depended on the good graces of John Vitale, head of the Mafia in St. Louis at the time of the kidnapping and immediately afterward). 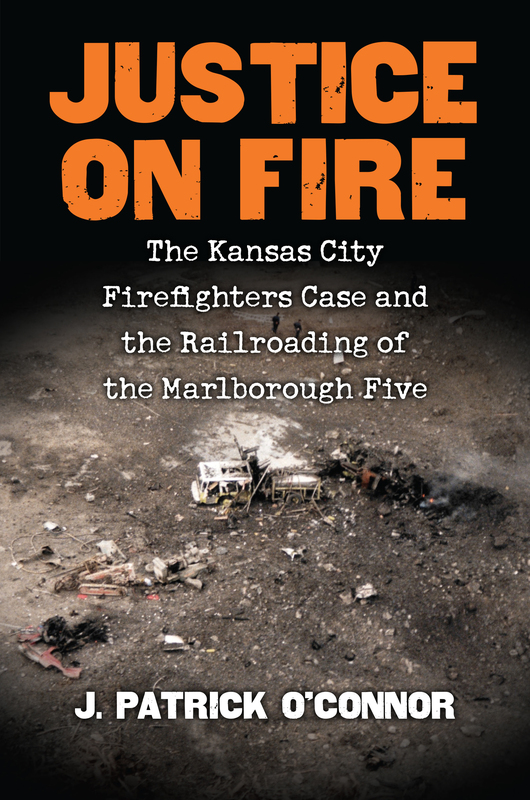 Also, the book has a distinct St. Louis focus, whereas the crime and trial occurred in Kansas City. While much detail is spent on the Post-Dispatch’s involvement in the kidnapping, there is very little about the Kansas City Star or the Kansas City Police Department. Hall was taken to the Newstead police station in north St. Louis, and from that point on, history is on slippery footing concerning the ransom money. Shoulders and Dolan said they brought the suitcase and a footlocker stuffed with more than $550,000 in cash into the station – there would be later testimony that no one saw them bring the suitcase in at the time they said they did. In any event, only $300,000 was recovered. Once arrested, it didn’t take long for Hall to break down. Heady was arrested at the south St. Louis apartment where she’d been dumped by Hall. On Oct. 7, 1953, police and reporters were racing for Heady’s house in St. Joseph, where Bobby’s body was dug up. Amidst the widespread rage at the murder of Bobby, there was an immediate investigation into the missing ransom money. The glory that Shoulders and Dolan might normally have enjoyed – leading to almost certain promotions – became a dirty scandal that the St. Louis Police Department has never quite shaken off. One thing the investigation determined was that Hall had purchased a shovel. He would later say he’d wanted to bury some of the money, but couldn’t find a suitable place. He couldn’t remember precisely where he’d gone. He later gave a statement saying "…I feel sure…" that all of the ransom money had been with him at the time of his arrest. Once Hall and Heady confessed to the crime, they resigned themselves to being executed, and swiftly. When a federal jury in Kansas City returned the verdict, it’s said that Heady smiled. From everything I’ve ever read, I feel Heady was truly repentant for the murder of Bobby Greenlease, but I’ve never had the feeling that Hall felt any such remorse. I’ve talked to men who were on death row with him, and they did not feel he was repentant (of course, they despised him). On Dec. 18, 1953 – only 81 days after the kidnapping -- Hall and Heady were executed side-by-side at the Missouri State Penitentiary. The pair who had declined to seek mercy at trial, also declined to appeal once convicted. The Missouri authorities had installed a second chair in the gas chamber, so Hall and Heady could be executed simultaneously. Heady was the only woman to ever be executed in the gas chamber. It’s said that Heady had chirped on cheerfully as she was led into the gas chamber, and while she was being strapped in, until Hall finally told her to be quiet. Shoulders and Dolan were later convicted in federal court on a charge of perjury, for supposedly lying about the sequence of events from the time they arrested Hall, until the time the money was brought into the Newstead Police Station and counted. Various police clerks and police officers testified that they had seen Shoulders and Dolan when they entered the police station with Hall, and that they did not see the men carrying anything. Shoulders said the money was outside in the car, and that he brought it into the station after bringing Hall into the station. The official theory is that Shoulders and Dolan, who both left the station on what they said were personal errands after bringing Hall in, returned to the Town House apartments, stole half the money, then brought the remaining half into the police station through a rear door. Hall’s statement, of course, directly contradicted that of Shoulders and Dolan, since Hall maintained the money was left behind in the apartment, while they said it was taken into custody at the time of the arrest. In his book, Deakin cites released federal documents pertaining to what Dolan revealed to the FBI after Costello and Shoulders were both dead. In an unsigned statement, Dolan said he had seen the missing ransom money in Costello’s house subsequent to Hall’s arrest, that Lt. Shoulders was present with Costello, but that he, Dolan, had refused to accept any of the money. First, in support of Deakin: the St. Louis Police Department suffered from widespread corruption in the 1950s. There’s no doubt that Shoulders and Costello were friends – they’d driven cabs together when they were younger. And, later, Louis Shoulders Jr., became a power in the mob-dominated St. Louis Steamfitters Union, which was controlled by Buster Wortman in the 1950s. The Deakin thesis is that Costello survived through his friendship with John Vitale – that there were Italian gangsters who would have made short work of Costello but for that friendship. Deakin theorizes that Costello gave a lion’s share of the missing ransom money to Vitale, as tribute to his benefactor (on the theory that Vitale would have felt cheated if he found out that Costello had gotten the money and not shared it with him). This is ludicrous – that Vitale would feel that any ill-gotten goods coming into the hands of Costello should be shared with him – since Deakin goes to great lengths to say that Costello was not a member of the St. Louis Mafia. In reality, Vitale would only feel he was entitled to money from an outsider if his influence or assistance was used to generate the money. Futhermore, Vitale would not try to shake down a police lieutenant (in St. Louis, the Syrian mob had a good deal more influence with the police than the Mafia). In the 1950s, the Mafia in St. Louis had little power. The south side of the city was dominated by the Syrian Mob (they were actually Lebanese), headed by Jimmy Michaels, Sr., who was close to Buster Wortman, the rackets boss in East St. Louis. Wortman was the dominant gangster in St. Louis from the early 1940s through the early 1960s. In fact, there came a period when Wortman (who didn’t like Vitale) sent his men into St. Louis to smash dozens of pinball machines (used for gambling) belonging to Vitale. Vitale’s response was to tell the St. Louis Globe-Democrat that Wortman was crazy, and that if Wortman wanted the pinball machine business, he could have it. And Wortman did in fact take over the pinball-machine business (he had his own vending machine company). The point of this is that Deakin gives Vitale far more credit than Vitale deserves. Joe Costello was a notoriously dangerous man, and the "sources" who talked to Deakin did so when Costello was safely dead and in the ground. The first flaw in any analysis of what happened to the Greenlease money is this: it begins with whether you believe Carl Hall. Having brutally murdered Bobby Greenlease, then having dumped his crime partner while he went after the good life (and absconding with her share of the loot), then having ratted on Heady (who held out longer than Hall), what is Hall’s sudden claim to character and credibility? We know he had a shovel, and we know he went looking for a place to hide the money – and only he says he didn’t bury the missing money or otherwise dispose of it (Deakin points out that Hall told one cab driver he’d shipped a package out of town). It is possible that Hall took revenge on the two police officers who had arrested him and, in his mind, sent him to the gas chamber. If that’s the case, then a tremendous injustice would have been done to those police officers, because their careers were truly destroyed. In the 1950s, if you asked a St. Louis cab driver for a whore , the first place they would take you is to downtown St. Louis. Virtually every hotel downtown had girls on-call. 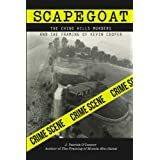 John Carr was a mob-connected guy, so for a cab driver to take you to the Coral Courts Motel in St. Louis County (beyond the pale of Costello and Vitale -- an area, in fact, where Buster Wortman had influence), suggests a cab driver who knew John Carr. The odds are overwhelming that Carr’s "mob" connections ran to Buster Wortman rather than to the St. Louis Mafia. The FBI had wiretaps of Shoulders and Costello talking, saying that someone should look at the guys at the motel. This has been interpreted as Costello and Shoulders, knowing they were probably wiretapped, trying to convince the authorities they were innocent. What an irony it would be if they were being sincere. For many years it was news anytime one of the bills linked to the missing Greenlease money surfaced. Deakin says that a mob-connected Chicago bank was the source of a number of the Greenlease bills (what few of them surfaced). However, the Italian Mafia in St. Louis was connected through Detroit (several of the original founders of the Detroit Purple Gang were St. Louisans) – not Chicago. It was Buster Wortman who was closely connected to the Chicago Mafia. When John Carr died, he was a multi-millionaire. What no one will ever know is whether he grabbed some of the Greenlease ransom. Carr’s Coral Courts Motel has been torn down (by his widow, the late Jesse Carr Williams, herself a former prostitute). The eight acres on which the motel had stood has been turned into a subdivision. With many of the principals in this drama dead, with even the Coral Courts Motel gone, one has to conclude that the missing Greenlease money will always remain a mystery. However, if you’re of a prospecting mind, you might take Old Telegraph Road to the Meramac River, then go east toward the Mississippi.